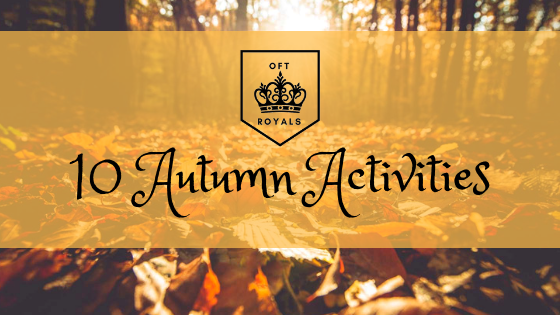 10 ROYALLY FUN Autumn Activities – Royals Lesson! Ciao Royals! Today I have 10 super fun ideas for you, centered around the Autumn season! These are ideas about things to do, make, and more! If you’re looking for more to do with the Royal Lifestyle (just for fun! ), check out our other post: “35 Royal Lifestyle Ideas”! So now let’s get into it! 1- Make some Autumn inspired crafts! Things like leaf tracings, knitting cozy scarves, even a fall inspired painting could be super fun to create! 3- You could also try some Halloween recipes like these Rice Krispie Treat Mummies! 4- Something super fun to do in Autumn is to visit a pumpkin patch! 5- While you’re at the pumpkin patch, why not get a pumpkin and carve a Jack-O-Lantern? 6- You can even roast the pumpkin seeds! 7- If you have OC’s (Original Characters) why not draw them in a Halloween costume? If you don’t have any OC’s, maybe draw your favorite character in a Halloween costume as FanArt? 8- Something fun to do in Autumn is to try to wear a “costumey” accessory everyday. I am loving this Acrylic Bat Silhouette necklace from RomWe! 9- Play with Special Effects Makeup! Something very spooky and fun to do in this season is to create Special Effects looks! OFT even has a basic tutorial for a Special Effects look with materials you probably have laying around your house! 10- Lastly, take some time to enjoy nature, like go hiking or explore just your local park. I love enjoying the changing leaf colors and such. It can be a very serene experience. Thank you for reading! What’s YOUR favorite Autumn Activity? My personal favorite is Autumn Crafts, which I hope to have a bunch posted here soon! I am currently working on a Halloween Terrarium. 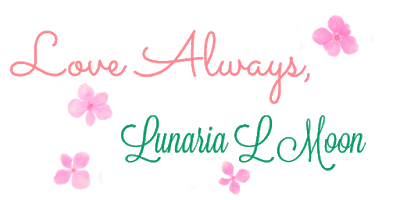 Thanks again for reading, remember to love yourself, and I'll see you in my next post! It’s Never Too Late - Royals Lesson! A Guide To Tea Party Sweets- Royals Lesson! What You Sow – Royals Lesson!